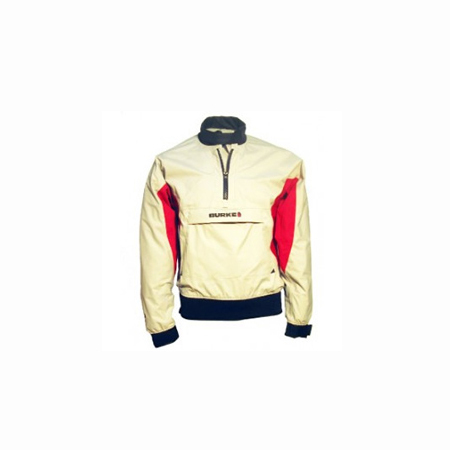 The Burke Marine EVO62 Smock is part of their high performance One Design Range, developed for the dinghy, sports boat and one design enthusiasts. The Burke EVO62 smock is made from their CB10 Evolution fabric. It is breathable, light weight and super soft providing a level of comfort and protection normally associated with high end products. 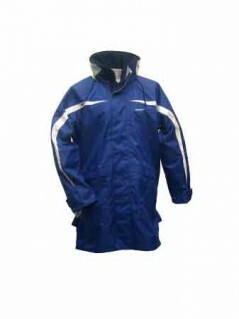 It is 100% waterproof and 100% windproof. 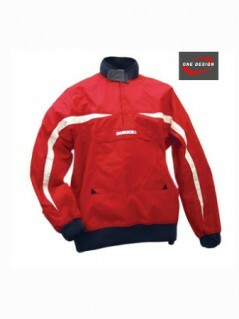 It features a fully adjustable Dartex Collar with non corrosive zip and wide open neck to allow for easy donning and cooling off down wind, Dartex cuffs with hook and loop closures. A Velcro front stow pocket with drainage corners provide ample storage for those essential water items. The neoprene waist band with Velcro closures allows for a large amount of adjustment creating a snug fit and it is unlined to speed up drying time. The Silver Grey with Red trim design is stylish, smart and practical. 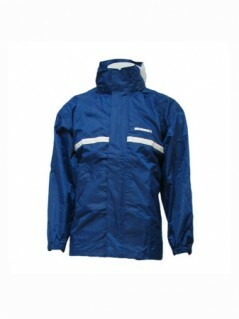 The Burke EVO62 Smock will suit any level of sailor and is a great addition to a paddler’s kit bag also. This smock is so comfortable you won’t want to take it off. Colour: Silver with red.